Roj Dae-pa-Adar Mah Sherevar, 1381 Yz. Today is the second death anniversary of Vada Dasturji Meherji Dastur Kekobad Meherjirana, the 16th Meherjirana. 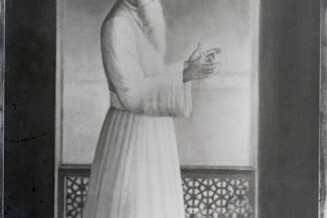 To mark this solemn day, appropriate ceremonies were performed at his house in Navsari, at the Navsari Bhagarsath Atash Behram, at the Ustad Saheb Behramshah N. Shroff Daremeher at Mumbai and at the Mahella Patel Agiary in Mumbai. Roj Dae-pa-Adar Mah Sherevar, 1380 Yz. The Siroza and Varsi days for late Vada Dasturji Meherji Dastur Kekobad Meherjirana was observed on Roj Amardad and Dae-pa-Adar respectively (22nd and 23rd January). The detailed ceremonies appropriate to the occasion were carried out at the Ustad Saheb Behramshah N. Shroff Daremeher in Jogeshwari, Mumbai by a team of Mobed Sahebs led by myself. In addition, prayers and ceremonies were also held at Vada Dasturji’s house and at the Bhagarsath Atash Behram in Navsari. Roj Avan Mah Sherevar, 1379 Yz. I am happy to inform readers that the Bhagarsath Anjuman has elected Ervad Kaikhushroo Navroze Dastoor (more popularly known as K. N. Dastoor, or KND) as the 17th Dastur Meherjirana in place of Dastur Meherji Dastur Kekobad, who expired on 23rd January as reported earlier. This morning, the Bhagarsath Anjuman met under the leadership of Dasturji Firoze M. Kotwal After deliberations, Ervad K. N. Dastoor was offered the post and he accepted. Roj Adar Mah Sherevar, 1379 Yz.